The following teams each produced a film project in the Peace Region as part of the third annual Frightening48 filmmaking competition in October 2017. Teams were given 48 hours to write, shoot, edit and deliver a 2-7 minute short horror film. Each team was assigned a random character and all teams had to incorporate a prop (a feather) and a line of dialogue (“... and even the phone is dead”). All eight teams completed their films and seven submitted their projects within the very difficult 48-hour window. 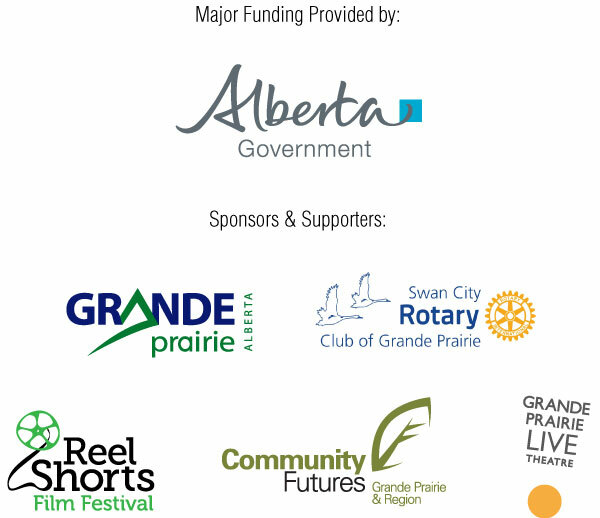 The films were screened at Grande Prairie Live Theatre on October 21, 2017 and the qualifying films were judged by a jury and the audience. Congrats to all of the participating teams for making so many unique creative projects. We hope you continue to make films and we truly hope to see all of you back for the Frantic48 challenge in spring! We want to especially thank team captains and their teams, our sponsors, and our volunteer Sargent at Arms, Wade Fleming. The following films have either been posted online or the participants have given PRIMAA permission to post the film here on their behalf. If your film is online and not posted here, please contact PRIMAA to have it added.